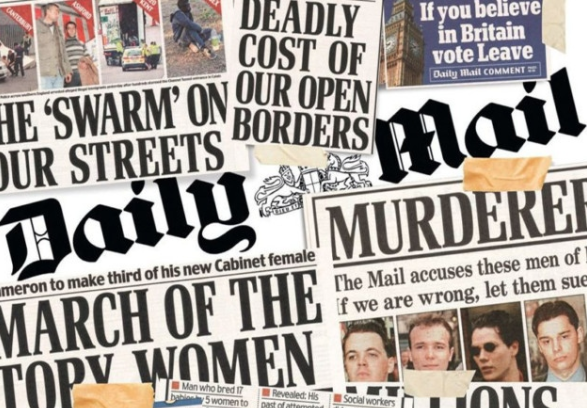 Media Alert- By The Media Fund – As analysed by Tabloid Corrections website, Lord Rothermere’s Daily Mail has again received the most sanctions from the press regulator, IPSO. Interestingly, the supposed “paper of record”, Murdoch’s Times, comes at 2nd place on the list, with The Sun close behind. The sanctions imposed by IPSO clearly don’t add up to sufficient disincentive for pumping out perpetual disinformation. The failure to nail down an improvement in quality, via standards such as those outlined in “Leveson 2”, doesn’t bode well for a reversal in the ongoing lack of faith exhibited by the general public towards corporate media. The UK press is the least trusted of 33 nations in Europe. People increasingly get their news and analysis elsewhere, though many of these sources aren’t exactly tip-top for reliability either. It hardly bodes well for news consumption that The Mail’s online counterpart is the most widely read English language news-source on the planet. Rather than reflect and improve on their practice, establishment journalists seem more likely to attack the independent sector, as our next story demonstrates. During the general deluge of accusations of antisemitism against Labour and the left, The Sunday Times labelled Mike Sivier of Vox Political (@midwalesmike), not just as a garden-variety Jew-hater, but as a holocaust denier. Four other papers got swept up with this propaganda. Now, with a full year elapsed, the paper has admitted its claims were bogus. The details of the falsehoods are written up here. Vox Political is a fairly prolific left-tilted independent provider of news and comment. In a fast-changing news scene, it is precisely the kind of platform that corporatist hard-rightists seek to discredit, with scant respect for fact. If he’d lived in 1930s Germany, Sivier would have risked going to the death camps, with the millions of Jews, gipsies, homosexuals and other targets of fascism. Murdoch’s rags, on the other hand, might well have dutifully whipped up the hysteria of The Reich. His modern operation frequently platforms hard and far-right ideologies, including antisemitic tropes. These include the notion that George Soros was somehow funding the “Caravan” – a hollow racist scare story about US-bound migration through Central America, which was especially hyped in the run-up to November’s mid-term US elections. The highly two-faced accusations of antisemitism have been covered a lot by Media Alert. They have perhaps died off for a while, but corporate bullies using their platforms to lie about independent journalists is probably here to stay. Media Alert is a weekly bulletin discussing the issues impacting UK independent media and highlighting some of the best recent work from the sector. It is brought to you by The Media Fund, a co-operative of over 40 partners (TruePublica included), which exists to raise vital funds for quality independent media in the UK.